Ashish Panjabi - Blogging sans Training Wheels: HP: Where does the ink spill next? In the last week, we've seen a series of announcements in the IT and mobile industry that were earth shattering but what we've not heard about is what still makes me curious. Google-Motorola - Is this a marriage of convenience (for patents) or is Google going to start rolling out their own branded stock Android devices? Will Samsung, HTC and LG get short-changed in the process? HP-WebOS - HP has shut down all efforts for developing their own smartphone and tablet devices after a number of failures over the years. Even buying Palm didn't help them. HP-PSG - HP wants to separate their PC business from the mothership. Will they spin it off, sell it or look at a management buyout? No one knows. Who could align with this is still speculation. HTC-Beats - This was the first announcement that came out last week and sadly for HTC, it was forgotten because of everything else that was announced. In case you didn't hear, Dr. Dre sold a portion of his company to HTC. Do we need to prepare for an HTC device with a Justin Bieber ring tone standard or a Lady Gaga-esque crazy smartphone? So next we expect to hear something from Dell and Samsung as they've obviously got an eye on Apple, HP and Google. HTC's announcement seems inconsequential in the grander scheme of things so maybe they may think of something. Will Acer continue it's tablet / smartphone strategy? Where does Microsoft fit in with everything going forward? 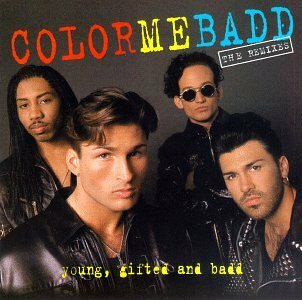 boy band "Color Me Badd?" What seems to have slipped under the radar though is the future of HP's IPG division. The IPG division is the portion of HP that's responsible for the printers that HP markets and the lucrative ink / toner business. It's known that a printer manufacturer like HP makes most of their profits from consumables. However, at the low end of the market, profits on printers can be difficult because of the number of third-party ink solutions available. Many brands have withdrawn from this and decided to focus on the enterprise or corporate market (think Xerox, Lexmark and Brother). With HP saying consumer grade PC's are very low profit, could they say the same for their consumer IPG products and focus then on the high-end market where there is less competition on consumables? If they did, who would be able to fill the vacuum left in that segment of the market? Of course, what I'm talking about is all based on speculation and a creative mind. I don't have any insight or inside knowledge on this but when you hear announcements of this sort from HP, you have to think, where does the buck stop?